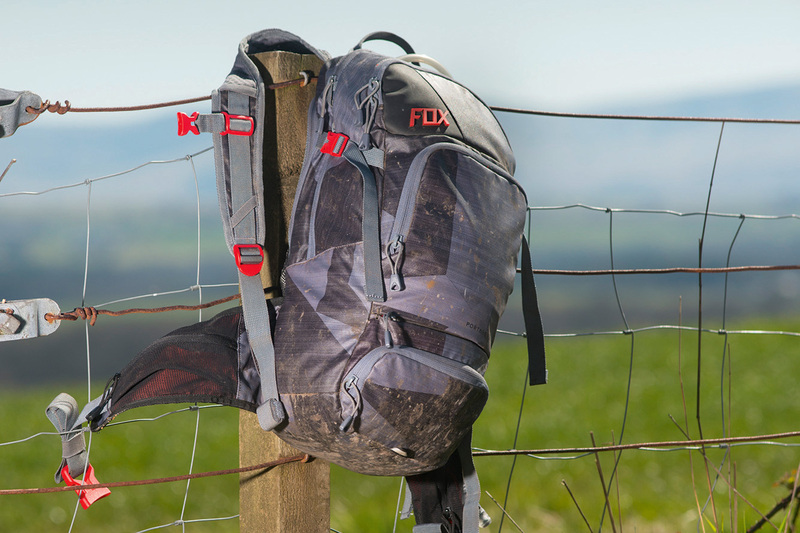 The Fox was the only other pack instantly flagged up by the testers as being as stable as the Camelbak Volt over steep and technical ground. Although it doesn’t have the low reservoir of the Camelbak, it does sport wide straps and a deep hip belt that can be cinched up comfortably, giving it grip over the generous back contact area. Well-placed compression straps help stability by drawing the load in nicely when less than fully packed. All these features added up to a pack that really shone when the going got rough. There was universal praise for the heavy-duty nylon, finished with an easy-clean plastic coating that shrugged off mud, and the discreetly hidden helmet holder. What’s more, it comes with one of our favourite reservoirs; a 3L Hydrapak. As an overall package, the Portage is well-designed, well-proportioned and well-executed.